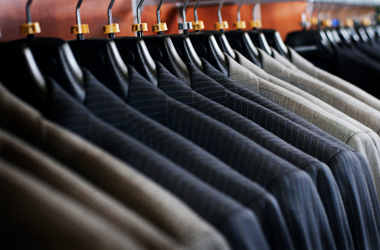 What to wear and what not to wear on your job or grad school interviews. Now that you’re wearing that beautiful, warm smile, let’s look at the rest of what you’re wearing. Guess what? You don’t necessarily have to go out and buy a $400 outfit to be dressed appropriately for an interview (unless you want to, of course). Maybe all you need to do is invest $5 in getting those dress slacks pressed or having that attractive blazer dry cleaned. Let’s keep it simple. Dressing up is not only a way to make you attractive; it is one of the many signals of respect you will send to the interviewer during this first 20 seconds. It says, “I respect your time enough to think carefully about my wardrobe.” Many of my clients object to dressing up for an interview. They may complain the vice president of the company is wearing shorts and sandals and has an untrimmed beard. Or the CEO is wearing Gloria Vanderbilt jeans and cowboy boots. The difference between you and the interviewer is you don’t have an office with your name on the door (yet). Before you get the job, take the time to be more formal and more conservative than you would normally be. (Then, when you’re hired, you can don your army boots, expose your tattoos, and get down to work with the best of them!) Remember, it is not the price of your clothes or how well they match the latest fashion. What makes the difference is you give the distinct appearance of having taken some time to put yourself together. A few guidelines to achieve that image follow.